I’m going to be brutally honest here, this is not the way to re-invent the smartphone. With its 5″ screen, strange 4:3 aspect ratio, and the fact that it’s made by LG, this phone just looks silly. 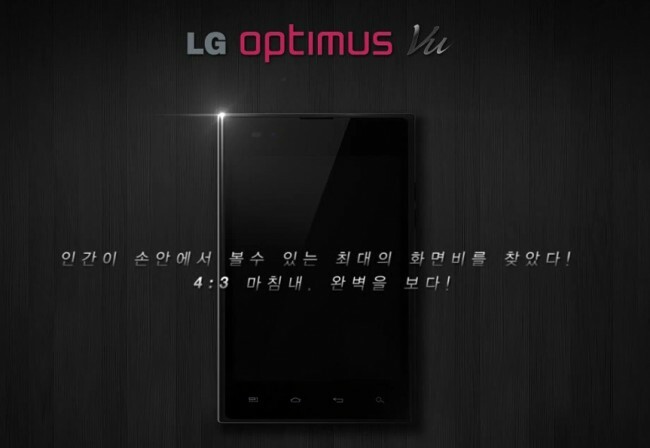 It’s officially called the Optimus Vu – at least in Korea – and packs a 1.5GHz dual-core processor, 1GB of RAM, NFC chip, 8GB of internal storage, 8MP camera and runs Android 2.3. It may or may not have a stylus and who knows if it will ever make its way to the U.S. Could we see it at the end of this month in MWC? I certainly hope so, because I’m dying to hear the sales pitch. Ready to carry around a square phablet/phonablet/weird thing?